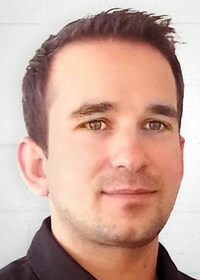 For our profile today, we had a chat with Jonathan David, the CEO of Los Angeles-based Tapstone (www.tapstone.com), a company providing media buying and optimization. We spoke with Jonathan about the company and where it fits into the advertising market. What is Tapstone all about? Jonathan David: We're essentially a media buying and optimization platform. We have a very specific strategy on how we target media buys, and how we optimize those once they are live. Most of that digital media is display, and we have a platform which automates a lot of the optimization decisions, based on a strategy we've developed collectively as a media team. That strategy seems to be quite effective for our advertisers. Where do you fit into the ad market? Jonathan David: Our focus is primarily working with advertisers to drive a response of some kind, with a focus on providing the best possible returns on ad spend at scale. Right now, advertisers have an infinite number of targeting options, and an infinite combinations to optimize their campaigns. You have technology and strategy to maximize ROI. Jonathan David: This might sound like a cliche, but I consider myself a serial entrepreneur. I started my first business at eighteen, a retail cell phone business on Main Street here in Santa Monica. I've now been in Santa Monica as an entrepreneur for thirteen years, at this point. I sold that business when I was 25, and took a year off, and positioned myself as a consult and advisor to technology companies, who wanted to understand how users are interacting with their technology. Having sold smartphones when smartphone were getting started, and figuring out what users want in technology was a skill set that served me very well. About five years ago, I got into digital advertising. I had heard about someone who was quite successful in paid search arbitrage, which is a method of buying traffic and licensing a search feed from Yahoo, and was able to buy media in non-search and drive that traffic to that search advertising, making a profit on the difference. I cut my teeth in media buying, doing that on my own, and ended up making quite a bit of money. I was pretty good at it, and started working for a digital agency doing that for about four years, before starting this company. I recruited a number of employees from that company to work for me here, and we were off to the races. We've been operating now for seven or eight months. What's the hardest part of dealing with online advertising right now? Jonathan David: Because of all of the different options available from the targeting and optimization standpoint, advertisers now can still spend tens of millions of dollars on digitla media, and not find the sweet spot from the ROI standpoint. We shorten the path to success for them, by leveraging the people we have on our team, and taking the collective intelligence and maximizing the results for our clients. How much of this is technology versus services? Jonathan David: That's a really good question. It's 85 percent a service, but we currently have thousands of hours into developing our own platform, and our own proprietary, database application. We have some very sophisticated applications and a platform that ingests data from multiple sources, sorts and organizes that data, measures the data, and helps automate decisions based on the results of those measurements. We have built a layer of technology on top of our own, proprietary optimization strategy and process. The most important part of that, is it's a series of rules and processes we have created, based on our collective experience, which automated optimization of these campaigns. We're moving more and more towards that technology, and it's a huge priority for us. The better the platform gets, the more we are able to scale, with less labor. Plus, it enables us to do things like have it change things at two in the morning when we see things are changing, rather than waiting until later in the morning. With that technology, it's designed to make those kinds of changes automatically to the ad server, regardless of what time it is, because it's the best decision. Finally, what parts of the online advertising world are you thinking about now? Jonathan David: I do my very best to keep my pulse on emerging technology. One thing I am seeing is that programmatic access to inventory is really a big part of the transition taking place on media buying on the Internet. I spoke recently at a conference on mobile RTB, which is the next iteration of programmatic development which is taking place. What I am sensing, more and more from agencies and advertisers, is that they are seeing some serious flaws with programmatic. I think those advertisers and agencies are becoming a little more wary of implementing that technology, because it's not driving the results they are looking for. The other trend we see more and more, is that large national advertisers are pulling their digital media in house, and taking the budgets away from the advertising agencies, because they think those efforts can be more efficiently managed in-house.